This smoothie is more like a treat!!! 🙂 So creamy and so delicious. 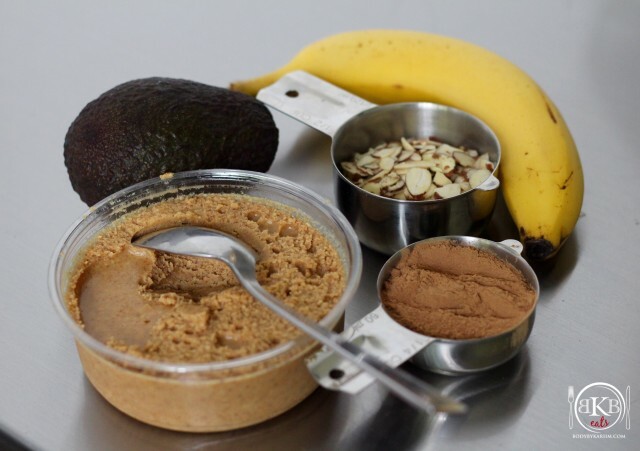 Loaded with protein from the All Natural peanut butter and healthy fats from the almonds and avocados – Guaranteed to fuel you up Pre Workout or even great as a filling snack or yummy dessert option. 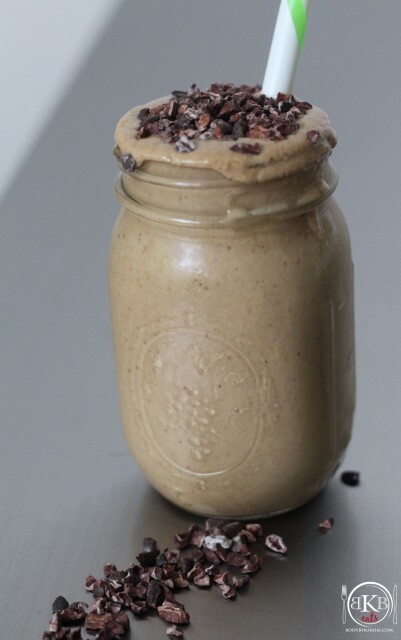 Ingredient Highlight: Organic Carob Powder : another Farmers Market Find. Carob powder has a similar appearance to cacao powder, but it has a milder sweeter taste. Carob powder provides more fiber than cacao powder. *Rich in antioxidants. Carob provides a type of carbohydrate that may prevent hemorrhoids, fight constipation, lower cholesterol and regulate blood sugar levels. *helpful for treating diarrhea in children. 1. Slice avocado and remove seed. Add all ingredients to the blender or Nutri- Bullet. Blend well and enjoy! NOTE: The thickness of the smoothie can be made to our liking. I used half and avocado to avoid the pudding like consistency. *If you like a thicker consistency, use the whole avocado. You can also freeze it and enjoy and a frozen treat as well. No way!! Can’t beat chocolate delights.